The MacBooks have all but gone and the iPads are moving in. It’s time to create digital stories by touch. 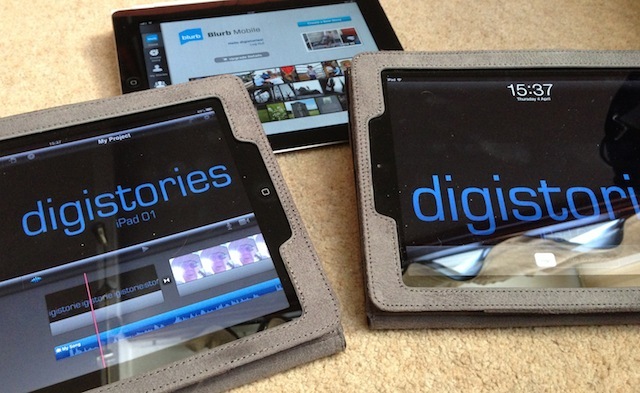 The iPad (and iPhone) mean digital storytelling workshops can happen just about anywhere. No need for boxes of gear – with just an iPad you can tell your story anywhere. So I took the step of selling the old Macs (I still have a couple if you want one) and investing in iPads, and so many people have one of their own they can bring it along and take their story away with them at the end of the workshop. I love the tactile nature of storytelling with the iPad. Want to crop a shot, shorten a clip, tweak a sound track? Just touch it and do it there and then right in the timeline. One thing doesn’t really change – the time old process of storytelling. Before the technology comes the story. So as the workshop evolves the storycircle still brings out the best from the participants memories and events. Watch out for some new workshop events – and this time I’ll be travelling light – possibly by train, on foot or even by bicycle. Which reminds me of a digital story I told last year.